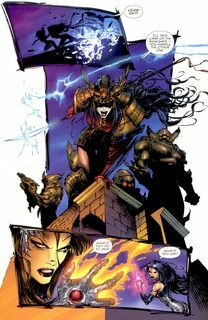 Cyblade & Shi – The Battle for Independents #1 (1995) : Dominique Thiebaut, aka Cyblade, takes a trip to Soho seeking relaxation but when she visits the art gallery of her friend, Ana Ishikawa, the gallery is attacked by armored men from S.H.O.C. and Cyblade is knocked unconscious while Ana is missing and presumed dead. 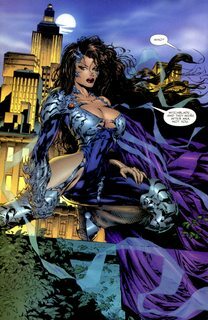 Recovering in her apartment, Cyblade is visited by Witchblade who tells her that her friend is still alive and they must join forces to save her.